These airy rooms on our second floor are arranged in a square, fixed configuration. Food is not allowed in our second floor rooms, only in the Robeson Pavilion rooms. 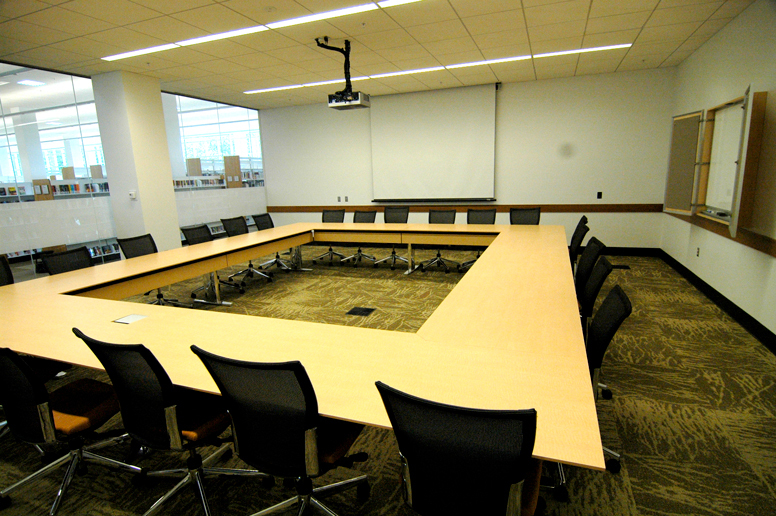 The Friends Conference Room offers seating for up to 22 guests and includes a whiteboard, projector, and screen. Bring your own laptop for use with the projector. 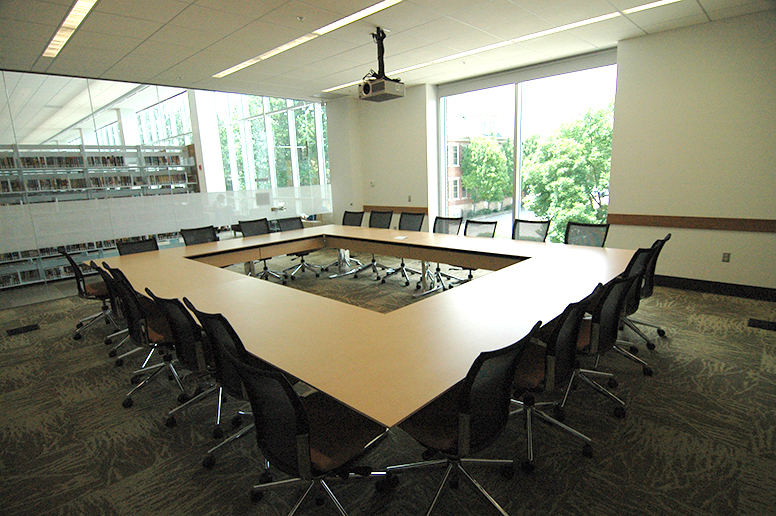 This room on the second floor offers a fixed table arrangement for up to 20 people and includes a whiteboard, projector, and screen. This room has windows along the north side of the library. Bring your own laptop for use with the projector.